The Indian Army has built the longest suspension bridge over the Indus River in Leh. In short span of 40 days, the army build the Maitri bridge, thus making a record of its own. The construction of the bridge was undertaken by the combat engineers of Sahas aur Yogyata regiment of Fire and Fury Corps of the Indian Army. Nearly 500 tonne of bridge equipment and construction material has been reportedly used to construct the Maitri bridge. The 260-ft-long bridge is expected to give a major boost to connectivity in the remote areas of Ladakh. Reportedly, the cable suspension bridge that has been now open for the public was constructed to help the residents of Choglamsar, Stok and Chuchot villages, which are the largest villages in the Ladakh region. 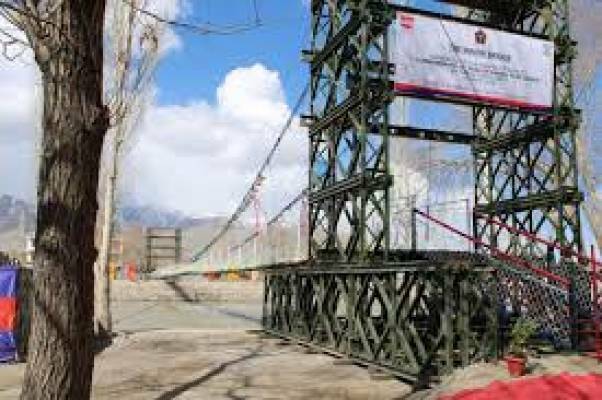 In the presence of senior war veterans from the Ladakh region along with Lt Gen YK Joshi, AVSM, VrC, SM and General Officer Commanding Fire and Fury Corps, the bridge had been reportedly inaugurated. That said, the Central Government has previously emphasised on building an all-weather road connectivity in this region. From Manali to Ladakh via Zanskar in Kargil, an all weather road was built last year. Besides, the work on Asia’s longest tunnel, the Zojila tunnel, has also been started. 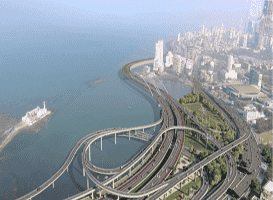 These projects were part of the Rs 250 billion projects allocated by the Centre for Jammu and Kashmir. Also in June 2018, the Border Roads Organisation (BRO) had opened a vital 35-mbridge in the Ladakh region to ease vehicular movement to the base camp of Siachen Glacier, which is the world's highest battlefield.